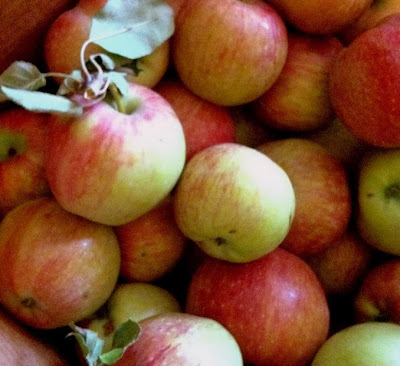 I remember fall days when I would help my grandma in the kitchen while she had apples cooking down to "butter" on the stove. The house smelled amazing while it was simmering and then spreading it out on some bread for a snack before bed was the best part! 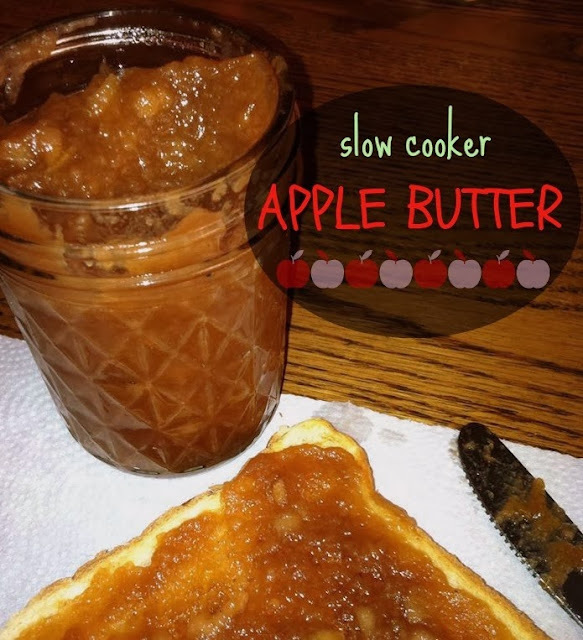 I grew up eating apple butter and I finally had enough "spare" apples to whip up a batch of apple butter! Finally! I haven't had any in at least fifteen years. It was long overdue! If you have never had apple butter before, it is like a classed up version of applesauce that is thicker and, better. 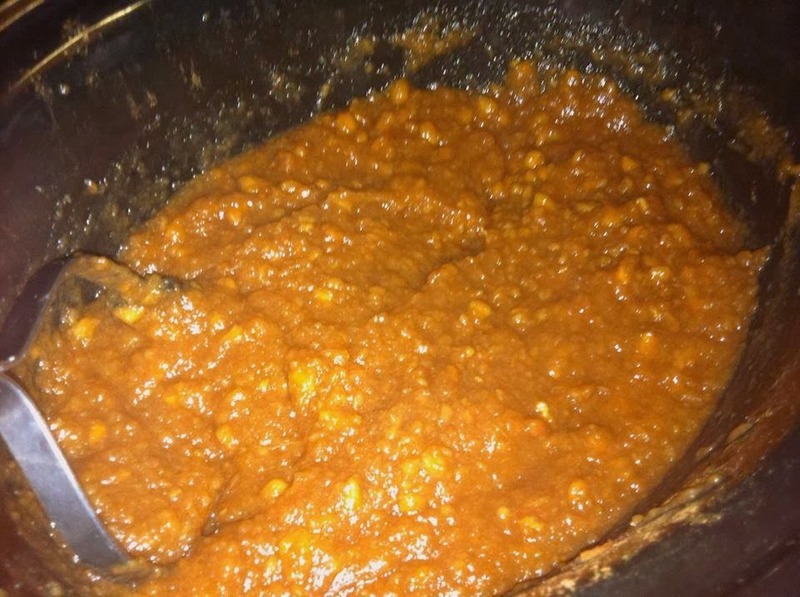 On the first day of fall, we spent the day making salsa, pumpkin pie so I wanted to be able to "set it and forget it" for the apple butter while everything else was going on in the kitchen. That's when my slow cooker came to the rescue. 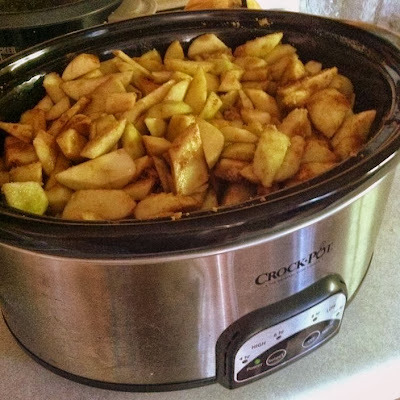 After washing, peeling, and slicing all the apples, I just tossed them in the crock and let it work its magic. For ten hours. After they cook, you could process them in a processor to smooth it out, but mine was "under the weather" after processing everything for salsa that day, so I opted to use my potato masher. It had some chunks in it, as you can see. But, it tastes just fine! I had enough to can 4 1/2 pints. After filling the jars, process as you normally would for canning. 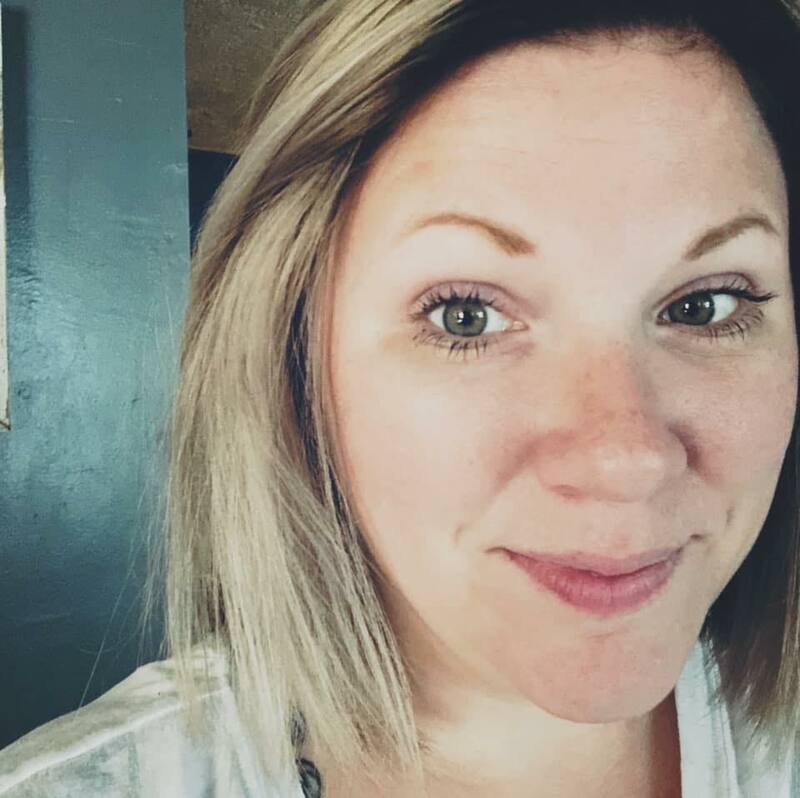 However I didn't plan my day well and it was almost 10pm when I got done, so I flipped them upside down for 30 minutes, flipped them up-right and they seal themselves. 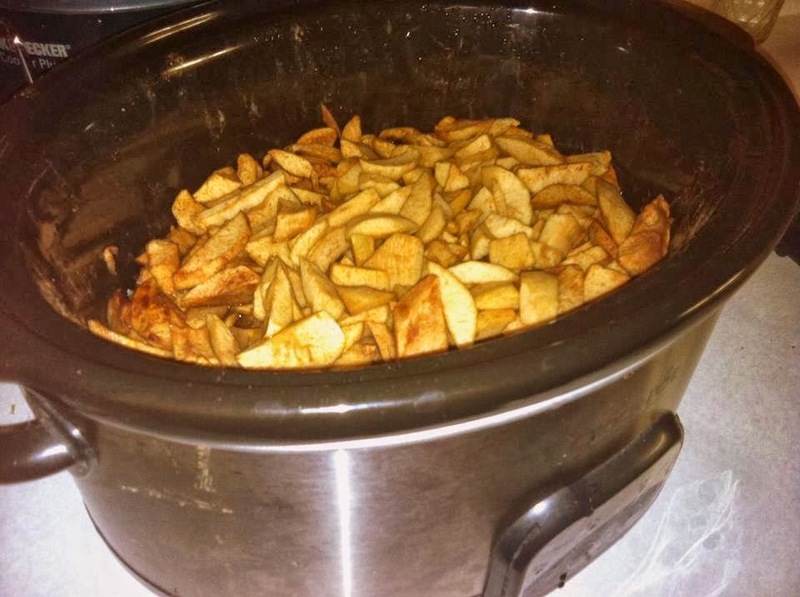 Place the sliced apples in a slow cooker. Stir in the sugars, cinnamon and salt until the apples are coated. Cover and set on low. Let cook for 10 hours. 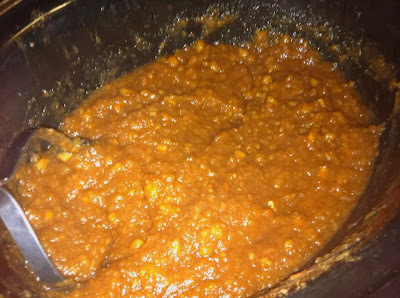 Mash, or put in processor until smooth. 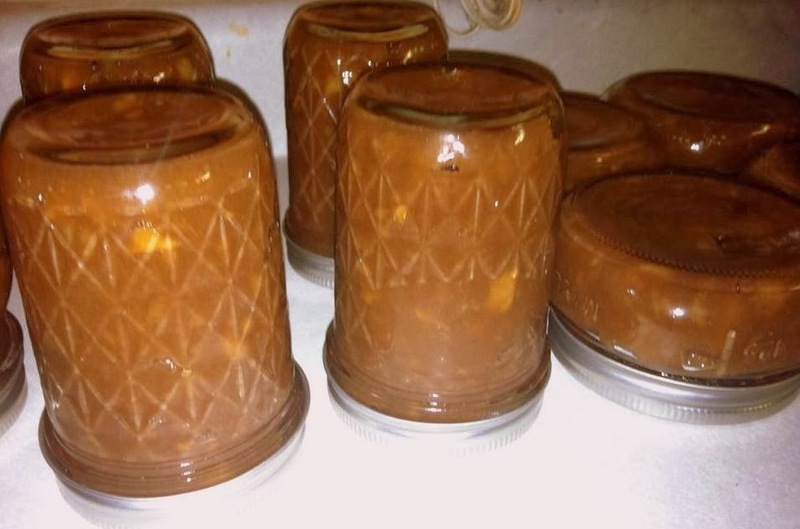 Can and process, or store in the refrigerator for two weeks.